The Year view presents a single or more years of the calendar. 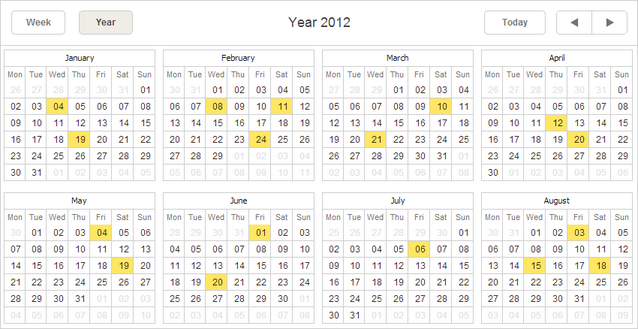 Dates which have some events assigned are highlighted. Hovering over a date will show the tooltip with a list of all assigned events. You can click on the 'details' icon inside the tooltip to open the lightbox (if only the readonly mode is not activated).